Cairo - For decades, Sudan’s President Omar Al Bashir has kept dissenting voices low and opposition groups in disarray creating a political vacuum that a group of professionals has recently rushed to fill. Public anger against worsening economic hardship and deteriorating living conditions has pushed doctors, engineers and university professors to come together under the umbrella of the “Sudanese Professionals Association” and lead nationwide calls for Al Bashir to step down. “The Sudanese scene has been lacking a leader on political, economic, security and social levels,” an SPA spokesman Mohammad Yousuf Al Mustafa told AFP, speaking from Khartoum. It started when back in 2012, in response to new laws restricting the freedom of political parties, a group of 200 professors at the University of Khartoum formed a group, prompting other professionals in the capital to form similar gatherings, Al Mustafa says. “Now every city in Sudan has a gathering of professionals,” Al Mustafa said. It has even proposed a plan to form a transitional government if Al Bashir quits. And on Friday, the country’s main opposition leader and former prime minister Sadiq Al Mahdi threw his support behind the demonstrators. 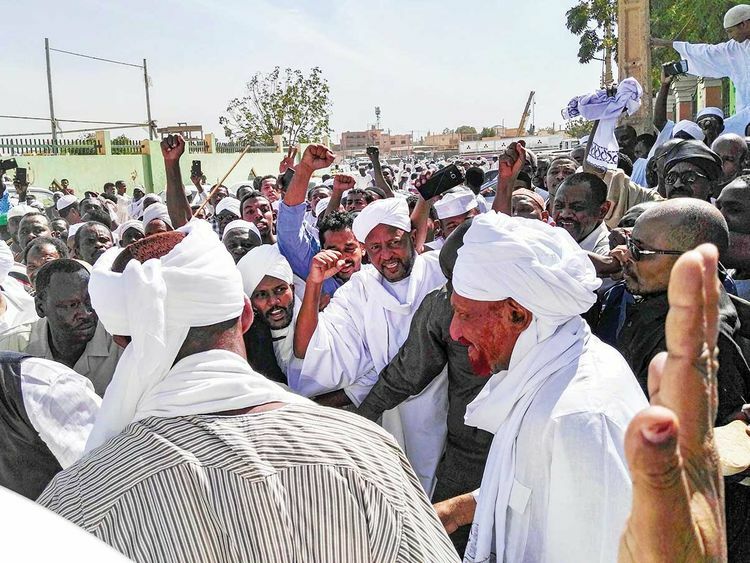 “This regime has to go immediately,” Al Mahdi, leader of the Umma Party, told hundreds of worshippers at a mosque in Omdurman. “A period of transition will come soon... we are supporting this (protest) movement,” Mahdi said, adding more than 50 people have been killed in the protests. But Al Mustafa dismissed plans that SPA would turn into a political party. But since December 19, the group has joined forces with Al Bashir’s main opponents. Opposition groups including the National Consensus Forces Alliance and Nidaa Al Sudan have signed a document with regime change being the main objective. It also outlines a post-Al Bashir plan including rebuilding Sudan’s justice system and halting the country’s dire economic decline. Mohammad Al Asbat, another SPA spokesman living in Paris, says the association will continue to use peaceful means to bring about political change.